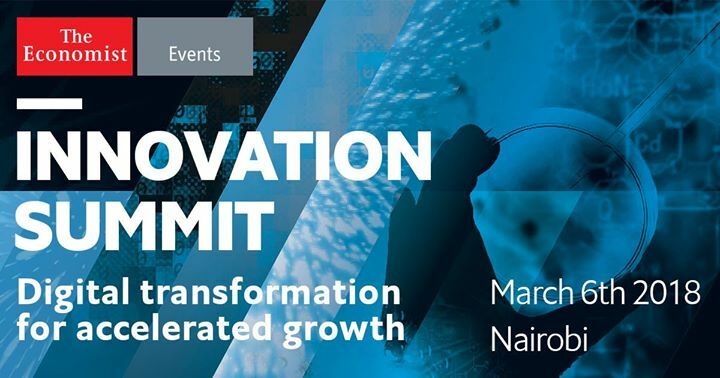 The role played by digital technology in the development of Africa’s economy will take centre stage at the Innovation Summit Africa set for Nairobi on March 6th. The event, hosted by The Economist Events, will bring together players and stakeholders in Africa’s digital space including Nailab chief executive officer Sam Gichuru, Common Market for Eastern and Southern Africa (COMESA) secretary- general Sindiso Ngwenya and Bidhaa Sasa founder David Disch. The meeting, whose theme is ‘Digital Transformation for Accelerated Growth,’ seeks to explain the current gaps in Africa’s development, particularly in key areas such as finance and telecommunications, and explore how the continent can use digital technologies to reshape its businesses and societies. “The Innovation Summit will look at the incredible impact that new technologies and business models are having on Africa,” said Jonathan Rosenthal, the Africa editor of The Economist. The summit will also feature presentations by BitPesa chief executive officer Elizabeth Rossiello, Mashable chief data scientist Haile Owusu, International Finance Corporation Africa head of fintech Rostan Schwab and Afrotech director Jonathan Ledgard. They will discuss a wide range of topics ranging from Kenya’s position as a leading digital hub in Africa, the rise of artificial intelligence (AI), the potential of fintech services and how Africa’s youth employment problem can be addressed through digital technology. “The event brings together an extraordinary group of people to talk about how African tech startups are going to power economic growth and contribute to solving some of the continent’s most pressing problems,” Mr Rosenthal said. Is Kenya Ready to Embrace the Power of Digital HR?